In August 2016 Karina Illovska spent some time beyond the mountains, in the homes of the surviving Guatemalan Mayans who live beside Lake Atitlan. She was given this opportunity working with a not for profit organisation, MayanFamiles who provide much needed assistance in this area. Their vision is to assist with the Mayan’s basic needs through sustainable programs that focus on elderly care, nutritional support, education, emergency aid and artisan programs to cultivate the local arts. Located in the highlands of Guatemala, Lake Atitlán and the small indigenous communities scattered around it are known for their diversity of Mayan language, traditional dress, and craft. Yet behind vibrant colors hides Guatemala’s dark side: a devastating history of civil war, which saw the mass persecution and genocide of its indigenous populations. The villages surrounding Lake Atitlán still suffer the effects of this destruction. Further debilitated by extended drought brought by El Niño, the country now finds itself in the depths of a food insecurity crisis, struggling to feed millions. Karina witnessed the plight of older people, too often overlooked in aid efforts that naturally focus on children. With barely enough income to feed their children, few families have the resources to care for the older generation. This neglect has left many elderly facing daily, almost insurmountable obstacles to survive. Yet these elders are the men and women who not only survived Guatemala’s bloody civil war, but outlived it. In each of their homes, this power and strength is quietly evident in pots hung in the kitchen, handwoven threads, the closeness of a grandchild on their bed. 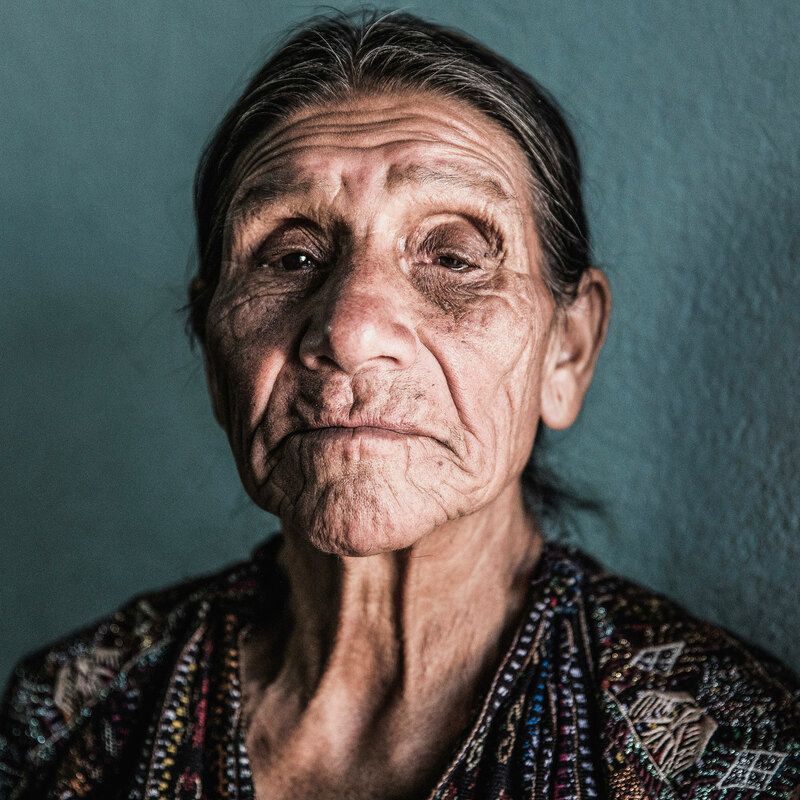 Their homes and faces reflect a life suppressed by the Guatemalan Civil War. Entire villages were massacred and the widespread use of forced disappearances led tragically to the Guatemalan genocide.